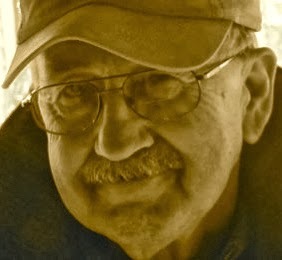 A Year of Being Here: Tom Hennen: "In the Late Season"
Tom Hennen: "In the Late Season"
There is the smell of water. On the western wind the hint of glacier. Same west wind mild in my face. 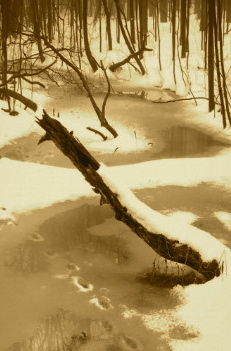 "In the Late Season" by Tom Hennen, from Darkness Sticks to Everything. © Copper Canyon Press, 2013. Camille A. Balla: "Breaking Through"
Jalal ad-Din Muhammad Rumi: "Birdwings"
Charles Bukowski: "a song with no end"
Richard Schiffman: "Watching the Birdwatcher"
The Psalmist and Stephen Mitchell: "Psalm 1"
Jane Piirto: "Tomorrow, Today, and Yesterday"
John Brantingham: "Putting in a Window"
Kirsten Dierking: "In the Produce Aisle"
David Whyte: "What to Remember When Waking"
Naomi Shihab Nye: "The Traveling Onion"
Wendell Berry: "To Know the Dark"
Marge Piercy: "The Tao of Touch"
Ioanna Carlsen: "Over and Over Tune"
Judy Sorum Brown: "Wooden Boats"